Today, I volunteered at a special Olympics which unlike the Paralympics is for athletes with mental disabilities. My friend and I were the only people from YIS or frankly under the age of 18 there, which was quite nerve-wracking. We helped in organizing the crowd and assisting the athletes in case they needed to go to the bathroom. Each of us was given pools to supervise and we made sure the players in our groups played their turns. This experience helped me in becoming more educated on how people on the spectrum are in real life rather than simply reading or watching documentaries about the disorder. It also made me want to hustle harder in the sports that I do as these athletes who had a “disadvantage” were working very hard. I was able to meet new people who I would not normally talk to which was interesting as well. A misconception that people often have is that people with mental disabilities are antisocial and are not able to have friendships. However, this was proven incorrect when I volunteered at the event. The athletes from the same prefectures were supportive of each other and cheered each other on during the games. Even those from different prefectures talked amongst each other and were saying that they do not have the opportunity to meet with their friends other than these games, seeming delighted. This year, the concept for field studies changed along with its name to “expeditions”. In these new expeditions, we explored nature, self-reliance, and resilience. In the Niigata expedition which I attended, we also talked about silence and how it is rare to have absolute silence in the city. The first day, we traveled a few hours by bus to a rural part of Niigata up the mountains where there was not a lot of civilization around us. There, we met the English Adventure staff and the building where we would be staying at for 3/4 of the nights. After having a long-awaited lunch, the English adventure staff organized a few activities for us to get us started and introduced to the topics we would be exploring for the next couple of days. We tried without instructions tried to build an ice cave, mapped the route we would take on the day of the hike and took a hike into a part of the forest where we could experience silence. The next couple of days were filled with exciting activities such as sleeping in a quinsy that we built for a whole day, hiking on the very top of a mountain, and lastly skiing. These activities all required a form of leadership whether in groups or in pairs. When hiking, we were forced to decide which direction we would travel when there was a split road based on our map reading skills. In the group, there was an instance where the group was split by two opinions and it took a leader to listen to each opinion then come up with a correct or fair solution. This experiences taught me that leadership can come not from expressing your own opinions but listening to the group. On the day we created the quinsies, in the afternoon we ate dinner which we cooked on a stand which we made by ourselves out of ice. We were given ingredients, a pot, and a portable stove which we placed on the ice stand. While we waited for the quinsy to harden enough to sleep in, we ate the stew we made and looked at the stars, played games etc. By experiencing these activities that were out of our comfort zones, I think I developed as a person and became more open-minded. Originally, sleeping in a quinsy was such a foreign thought and I assumed that it would be cold, miserable, and overall a negative experience. However, contrary to my initial ideas, the quinsy was comfortable to sleep in and I even enjoyed the process of making the quinsy as it was very rewarding to see it made. In the future, I think these memories will remind me of the positive that can happen out of a seemingly negative scenario. Additionally, I think I was able to appreciate nature more. Being surrounded by nature was different from seeing things on a screen as we not only saw but smelt, heard and felt the things we were seeing. Not having access to a phone or any sort of internet connection made us connect with the people around us. Although I am not someone who is extremely addicted to my phone and enjoys being in the outdoors, being outisde with my friends was an even more exciting experience. Potentiation: The increase in strength of pathways along nerve impulses which have been used previously, either short-term or long-term. Rapport: A harmonious relationship in which people or groups understand each other’s feelings or ideas and communicate well. Consolidated: making an object physically stronger or more solid. To remember something your brain goes through the following process. First, your brain consciously registers the memory, this is called encoding. Next, the brain must consolidate the memory. The last step is called retrieval. The best way to improve your memory is to keep remembering the same thing, over and over. This strengthens the neural pathway to the memory. There are other things you can do to improve your memory; get a regular sleep pattern, eat a balanced diet, and exercise often. Oh and keep your brain active, this will actually increase the physical size of your brain. For this year’s expedition, half of the grade traveled to Phuket and the rest to Niigata. I chose to go to Niigata because I enjoy hiking and the wilderness. We went hiking with one backpack for three days which was already a big challenge but we then slept in tents that we built our selfs, out of the comfort of our usual bed. We also did team building exercises, hiked in the rain and made our own meals. This was one of the most most fun field studies I had ever been to. We were given more freedom to make our own decisions which gave us more responsibilities but ended up being a good learning experience. The mountains we climbed were hard however the scenery of the journey made it worth it. In this expedition, I grew as a learner by becoming self-reliant and a leader. I believe this trip has taught me to be more independent as I had to organize my belongings into one bag that we had to carry for up to 8 hours on a mountain. We had to make decisions that would affect us greatly as there was no one to help us if we had made the wrong decision and had brought the incorrect belongings. This gave us a sense of responsibility for our selfs that we probably had not experienced before. In terms of leadership, everyone in the group had to become a leader at one point in the trip. Whether it was in forms of organising the materials for lunch to be carried by different people or when someone got hurt and volunteered to carry the injured person’s bag, it was an important aspect of the trip. In conclusion, by going to this trip, I grew as a learner by experiencing more responsibilities and freedom. If I were to do this again, I bring a disposable camera so I could record the beautiful scenery that we witnessed during the journey. It is scientifically proven that people grow into who they are from both nature and nurture influences. Nature (genetics) mostly forming the appearance, and nurture forming the personality. However, both nature and nurture can influence appearance, personality and many other things as well. The nature argument is that people are born with a set of genetics and grow in a certain way based on their genetics. In support of this argument, a study was conducted by Cambridge where baby girls were dressed in so-called “boy clothes” to play boys and the the boys were dressed in “girl clothes” to play girls. The adults who were taking care of the children tended to give the boys truck toys, and girls, dolls even when they refused. This shows that from a young age, children are influenced by adults who push gender stereotypes. The nurture argument is that people get influenced by their environment, and that is what shapes who they are and become. In support of this argument, another study was conducted by Cambridge where monkeys were given the same boy and girl toys as the previous experiment to test which toys each gender would prefer. This resulted in male monkeys taking the blue and green trucks while the girls took pink fluffy animals. This proves the nature argument to be correct in a way as monkeys are very similar to us humans brains. Although both of these studies prove both of the points, neither are able to cross out the other argument. This is because both of the arguments are valid as both nature and nurture influence the person in different ways. Comedy was one of the most popular and influential theaters during the 6th century BCE across ancient Greece. Performances were often movement and verbal performances. They would perform comical tragedies to intrigue the audience with emotion while still also making them laugh. They would often have stereotypical roles such as a hero, maiden, a jealous man, and an evil villain. Aristophanes and Menander had the most famous playwrights of the time work consisted of poking fun at politicians, philosophers, and other fellow artists. At the same time, they were able to give insight to Greek society including, institutions and religion etc. 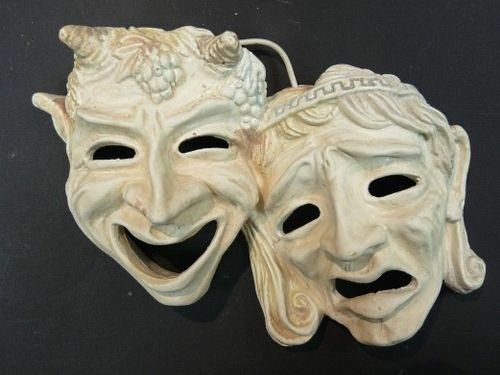 Although we do not know precisely about the origins of Greek comedy, the first indication of comedy was on a pottery piece from 6th century BCE. The Medieval entertainers of the Middle Ages included Jesters (A fool or buffoon at medieval courts), Mummers (Masked or costumed merrymaker or dancers at festivals), Minstrels and Troubadours, acrobats and jugglers and conjurers. The jester would be a master in juggling, singing, dancing, acrobatic feats, mimicking, voice tricks (including some ventriloquism), all round joke telling, or any combination thereof. A medieval mummer possessed the skills of acting in plays, this included skills such as acrobatics, singing, mimicry, and other kinds of entertainment. Most commonly, medieval mummers performed in open spaces where a stage could be set for the performers. Mummering parties were sometimes also held by nobles and monarchs in which case the plays took place indoors. During the Renaissance, comedy meant something different from what it currently means today. People think of modern comedies as funny, but comedy in the Renaissance meant a play with a happy ending. Many plays included some type of irony. Though comedies do not have to be funny, they had the potential to be. 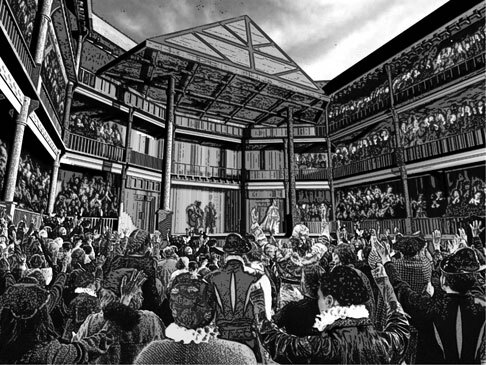 Characters in Shakespeare’s comedies sometimes embarrass themselves during the play. Shakespeare comics were the iconic plays of this time period. Shakespearean comedies would usually be made up by a conflict, which would be solved at the end. These could be funny, but were more about being resolved with a happy ending. Melodrama was the primary form of theater during the 19th century however it is still popular to this day. In the early 1800’s most were romantic, exotic, or supernatural. In the 1830’s they became more elevated as a “gentlemanly” melodrama. Melodrama is a type of narrative in which the over-dramatic plot-line is designed to play on people’s emotions. They often use overexaggerated stereotypical characters and plot lines. A hero, who is moral, handsome and manly. A heroine, who is also beautiful but likely needed saving (helpless). A villain, who is evil. These characters are often dishonest, greedy, vengeful and corrupt. A villain’s accomplice, who is usually rather idiotic and serves as comic relief. A silent film is a film which consists of only the picture, that is, it has no sound. Because they told stories without words, in the beginning of 1890’s in the earliest of American Film history, they were appealed to the illiterate immigrant population in the United States. Showings of silent films usually were not actually silent: they were commonly accompanied by live music. Early in the development of the motion picture industry, it was learned that music was an essential part of any movie, as it gave the audience emotional cues for the action taking place on the screen. Small town and neighborhood movie theaters usually had a pianist accompany the film. Large city theaters would have an entire orchestra. The silent films required a greater emphasis on body language and facial expression so that the audience could better understand what an actor was feeling and portray it on screen. Wikipedia. “Silent Film.” Filmbug Birthdays RSS. CC-BY-SA, 2016. Web. 03 June 2016. Sparknotes. “Film History: Silent Period (1895–1929).” Sparknotes. SparkNotes, 2011. Web. 03 June 2016. NRMS English 7HA. “Shakespearean Comedy.” The World of the Renaissance. Wiki-Spaces, n.d. Web. 03 June 2016. Roberts, Mike. “Medieval Mummers.” Medieval Chronicals. Medieval Chronicals, 2016. Web. 03 June 2016. N/A. “Entertainment in the Middle Ages.” Middle Ages for Kids. Siteseen LTD, 2014s. Web. 03 June 2016. Depue, Troy. “Medieval Jester; More than Just a Fool.” Examiner.com. Medieval Fact Examiner, 2 Apr. 20122. Web. 24 May 2016. Dr. Eric. W. Trumbull. “19th Century Melodrama.” Introduction to Theatre — 19th-Century Melodrama. Northern Virginia Community College, 3 Nov. 2004. Web. 03 June 2016. White, David. “What Is a Melodrama? – Definition, Characteristics & Examples.” Study.com. Study.com, 2016. Web. 03 June 2016. Cartwright, Mark. “Greek Comedy.” Ancient History Encyclopedia. 2009-2016 by Ancient History Encyclopedia Limited, 25 Mar. 2013. Web. 08 May 2016. Student Led Conference 2k16 ! I think I worked well with my group as we were the first group to finish and we were on track almost the entire time. We communicated well in the making of the script by not only sharing our ideas but also listening to others when they shared their idea. This year in English, I have been doing an okay job, however there are many things I am hoping to improve. I would like to work on my communication as my worst criteria is criteria d. I am hoping to increase both my vocabulary and my grammar by reading more books or listening more in class. Math has been my strongest subject this year. I used what I learned in class and what I had learned previously from school and home to use this semester. I would like to continue working hard and asking questions when necessary to improve both my grade and inquire my curiosity. I think I organised my time well in this subject as unlike other projects, I had spread my work load over a long period of time. I believe this is a good habit and I would like to continue this habit for the rest of my school life. Because we had a lot of freedom to do what we want in the time given to us, it was important for me to stay on task. This is where my self management skills came to play. I had to make sure to finish my work without getting off track. Although in the end I ended up with an okay final product, I believe if I had organised my time more efficiently, I would have been able to create a more finished product. I did not properly plan my animation so I would be able to finish so that is what I will try to improve in the coming semester. For this investigation we had to write up a report for the experiment and to write a report, we had to have background information on the topic. This is where the research skills were used. We searched for reliable resources to use for the hypothesis and conclusion. In this project, I was proud of my research skill as I was able to collect the needed information from reliable sources such as UNICEF, WHO etc. I was able to research efficiently and I would like to continue this throughout the rest of the year. For this project, I had to write a speech with my group about what we had learned. I think I did pretty well in this speech as I had done my proper research I needed in order to write a well worded and well thought out speech. This semester in music, I used both my prior knowledge on music and what we had learned earlier on to create this. In this unit, we created our own pop song using a bass line, a melody, and harmony. We learned about triads and inversions in the beginning of the unit and worked on our song in the rest. I was in a group with William and Jan for the pop song. We created an introduction however because that didn’t work as planned, we struggled with continuing the song. Although in the end, we were able to finish it on time. Triads are set of three notes that can be stacked in thirds. From the bottom, the notes are called root, third, and fifth. These notes are chosen from a certain scale. For example for the c triad, the c scale is used and all the notes used are from the scale. For the chords, we used the c, f, g and a minor triads. I think my strongest skill in this project was collaboration. My group and I communicated our ideas well and worked well together. However, one major factor that could be improved was staying on task. Because we worked so well together, often times the conversation would get off track and we wouldn’t be productive as intended.